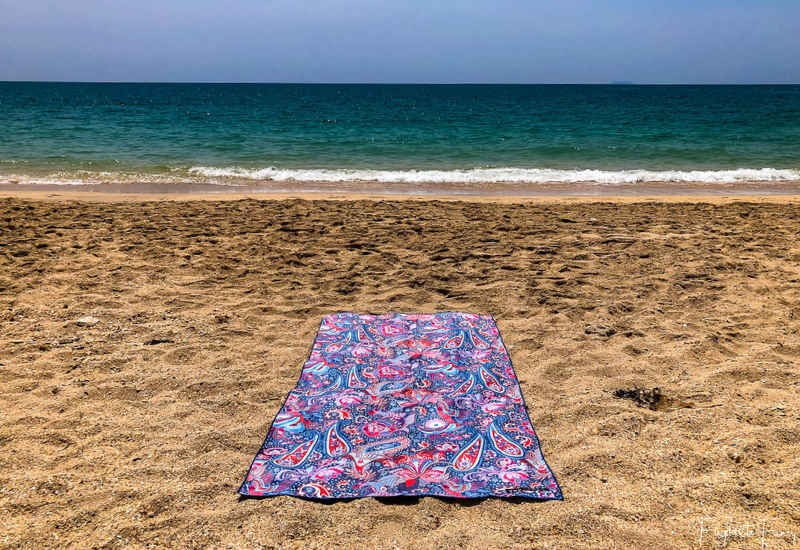 The beach towels of my youth were bulky, heavy, thick, took ages to dry and attracted virtually every grain of sand on the beach to their pile. I didn’t know any better then, but I do now. 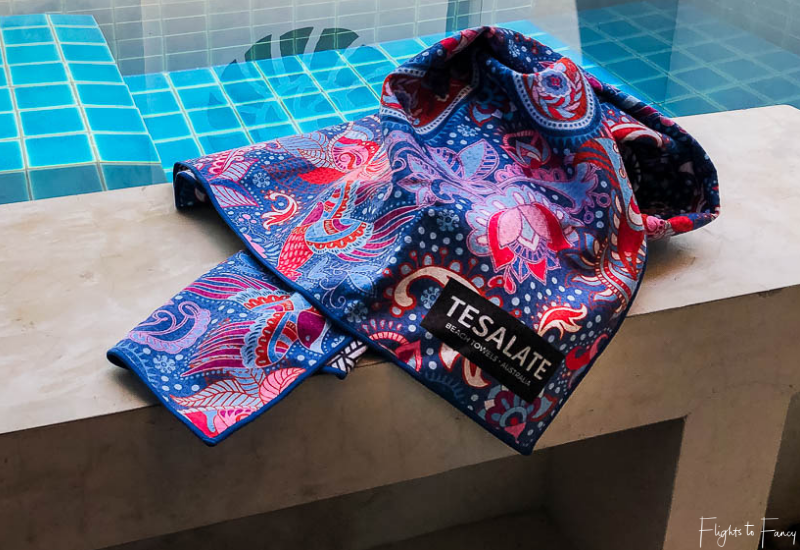 Tesalate beach towels use cutting edge technology to deliver the ultimate beach towel experience. 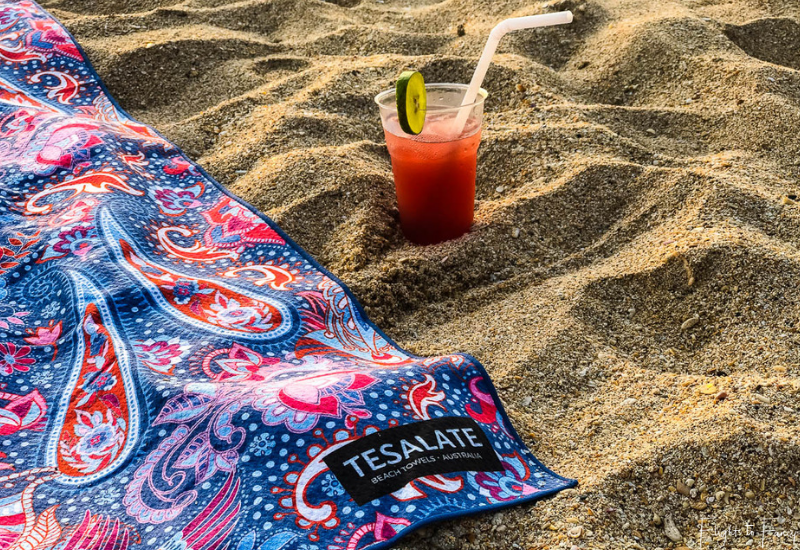 Each Tesalate beach towel is made with AbsorbliteTM Microfibre. This amazing polyester and polyamide blend is exclusive to Tesalate and is the secret to their success. Tesalate beach towels dry quickly. In fact, they dry twice as fast as a traditional beach towel. Even though they can absorb more that a litre of water! Perhaps the biggest advantage of this unique fabric though is its sand repelling properties. I kid you not, nothing sticks to this baby. I threw handfuls of sand at it and not a single grain stuck. Brilliant! 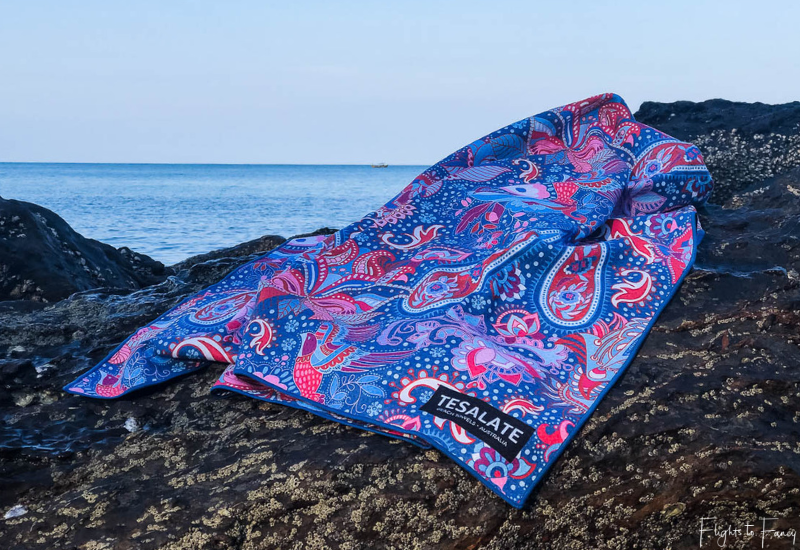 Tesalate beach towels come in two sizes. The standard size is 160cm x 80cm, but Tesalate also offer a larger size that is perfect for two. 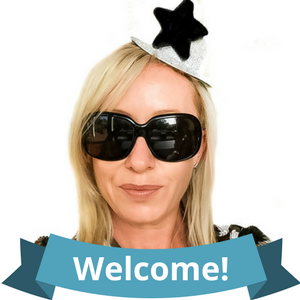 Tesalate must be doing something right because they have over 50,000 happy customers in more than 130 countries and thousands of 5 star reviews. 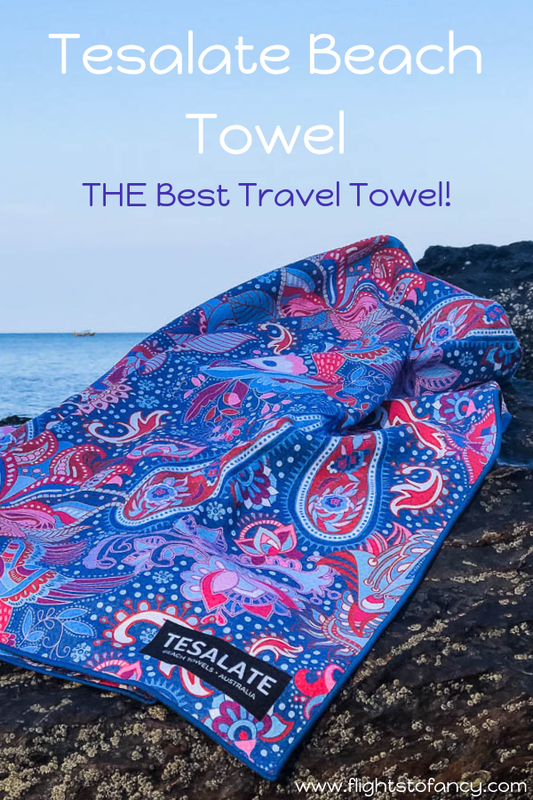 All Tesalate beach towels come with free worldwide shipping and Tesalate are so confident that you will be delighted with your purchase that they offer no questions asked returns. Even if you have used the towel. And they will pay the return shipping. 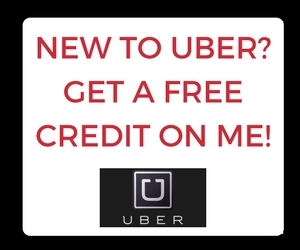 If that doesn’t help you buy with confidence and provide peace of mind I don’t know what will! Not all towels are made to travel. I find myself largely travelling carry on only these days and many times I fly Jetstar International. Jetstar only provide 7kg of carry on luggage. 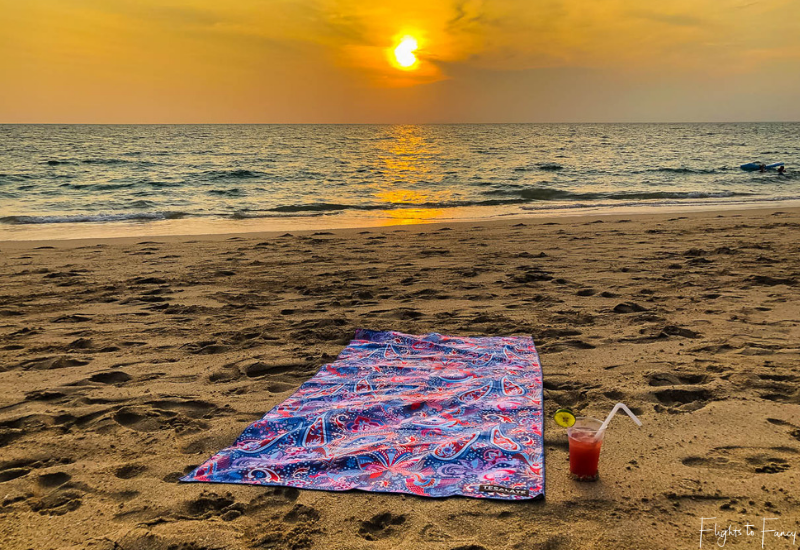 Your average Aussie beach towel takes up a mammoth amount of that precious space which leaves little room for anything else. Not so the Tesalate beach towel. This little wonder is compact and took just a little corner of space in my High Sierra 56cm wheeled duffel. 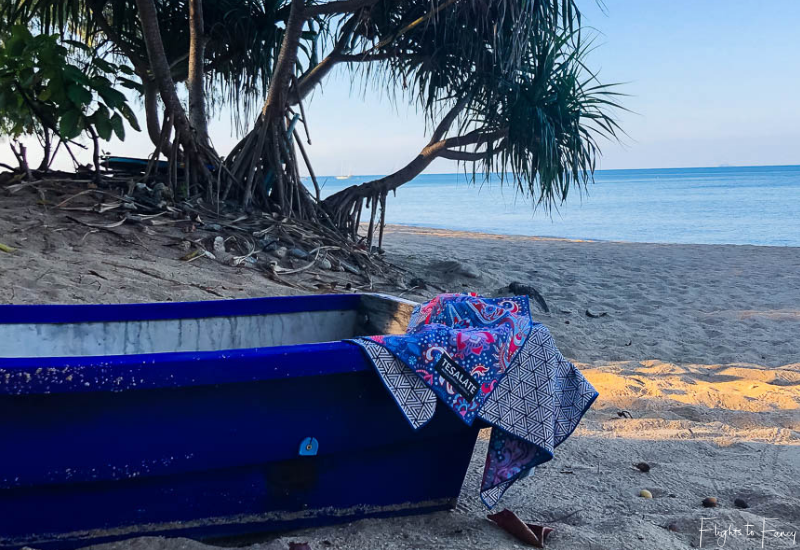 While you might be tempted to rely on the towels provided by your hotel when you travel, we found out the hard way at One El Nido Suite in the Philippines that not all hotels provide beach towels. With Tesalate there is no need to be caught out ever again. 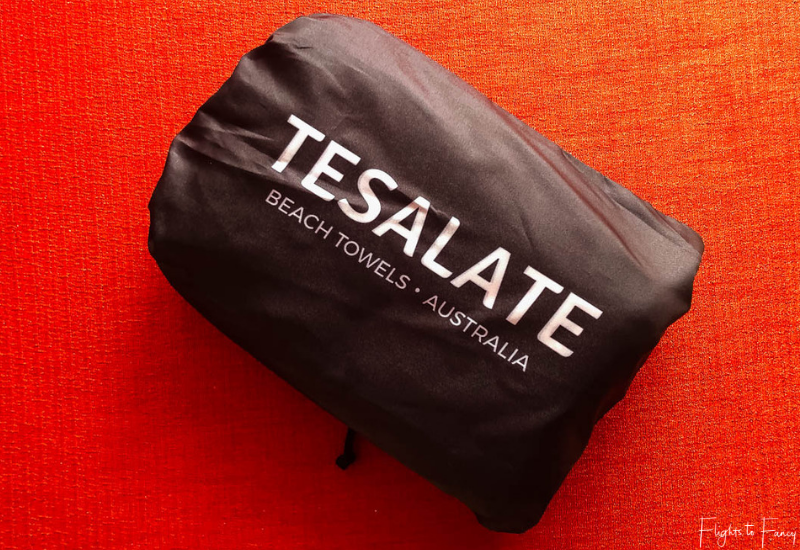 Each Tesalate beach towel comes with a handy pouch. The Hubs bet me that after I unpacked it for the first time that I would never be able to get the towel back in the pouch. You know, just like a Christmas tree never quite goes back into the box properly. I won that bet. Easily. 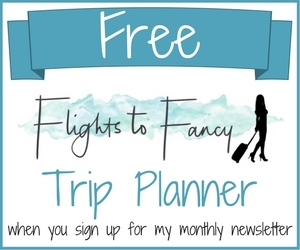 I’ve been to Thailand four times, but this was my first trip to Koh Lanta. We stayed at the Lanta Sands Resort & Spa and our room boasted a private pool. We made good use of having a plunge pool just steps from our bed and we took several dips each day. The Hubs used the bath towels provided while I used my Tesalate beach towel. Our courtyard was a little shady and the fluffy bath towels never dried properly between dips, but my Tesalate beach towel did. Our resort commanded an absolute beach front position on Pra-Ae Beach Koh Lanta. This is without a doubt one of the most stunning beaches I have ever visited. The orientation meant we were blessed with sublime sunsets each evening. It was the perfect place to relax with a cocktail and contemplate another perfect day in paradise. 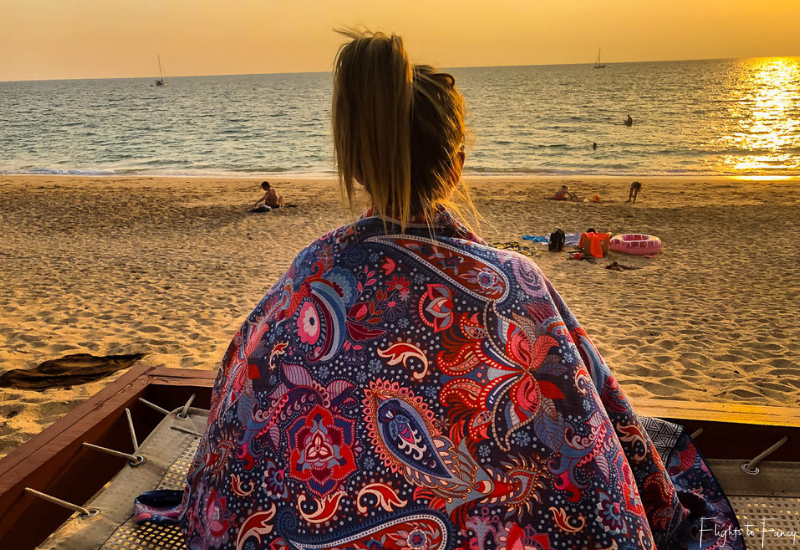 My Tesalate beach towel came in handy when I wrapped it around my shoulders as the sun started to dip and the mercury dropped. 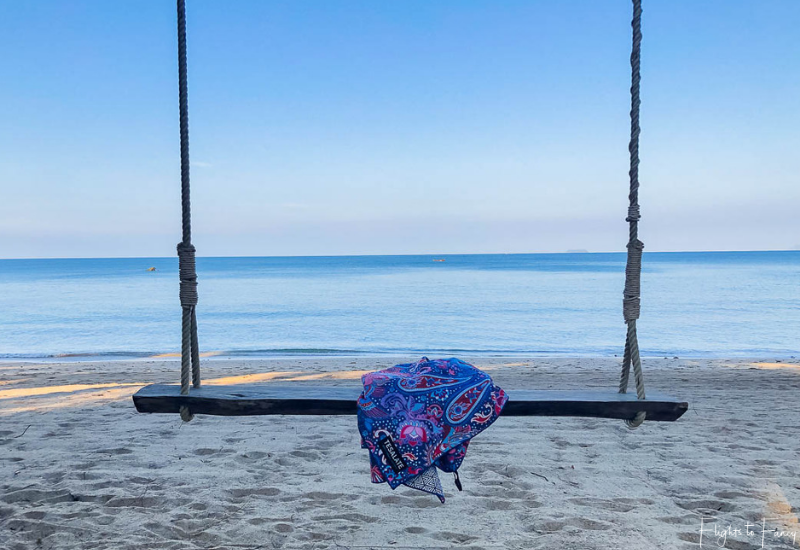 We found ourselves rising early in Koh Lanta to enjoy the beach before most folks had risen from their slumber. 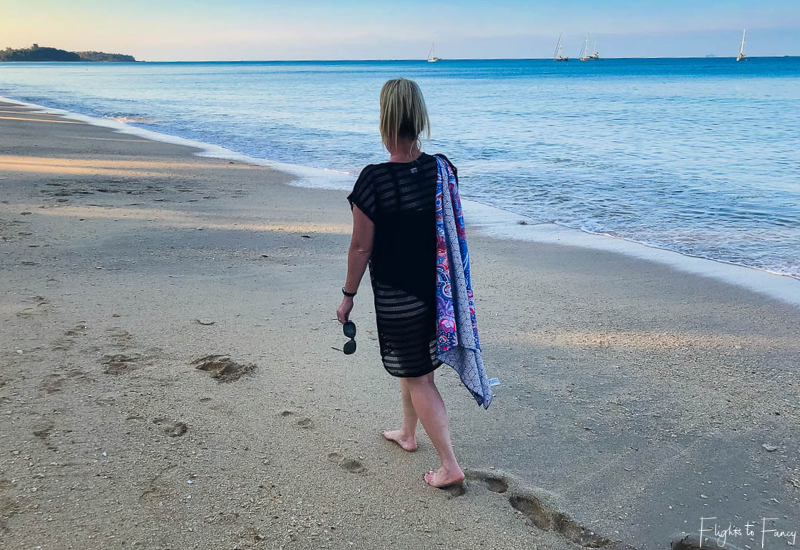 We explored the full length of Pra-Ae beach and I was glad my Tesalate beach towel was so light. 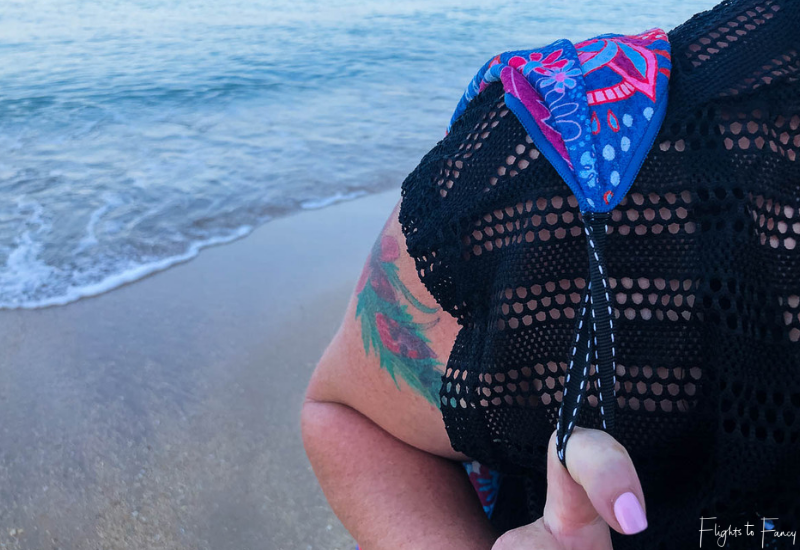 While The Hubs lugged the thick heavy beach towel supplied by hotel, I simply slipped my finger through the handy loop and slung my Tesalate beach towel over my shoulder. The crystal clear water of Pra-Ae beach was bath water warm. We stopped a couple of times on each of our morning walks to take a refreshing dip. 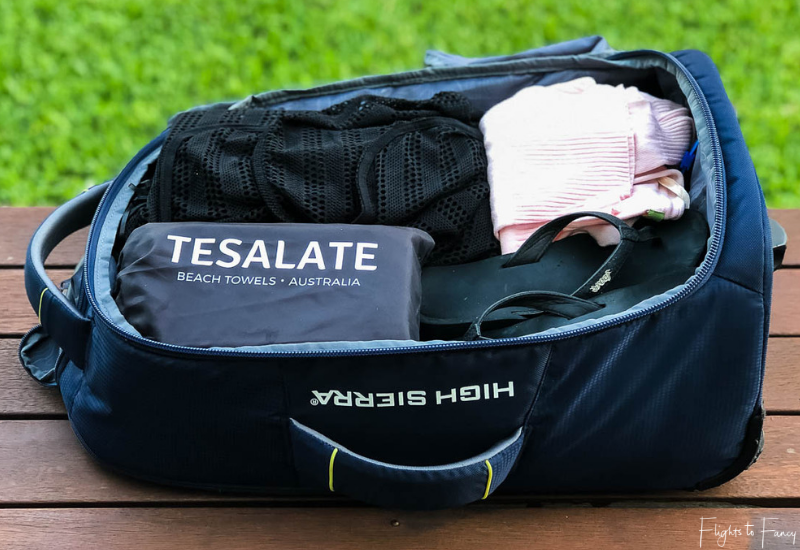 While the traditional beach towel The Hubs was using was sodden by the end, my Tesalate beach towel’s rapid dry powers meant it almost dried completely between swims. 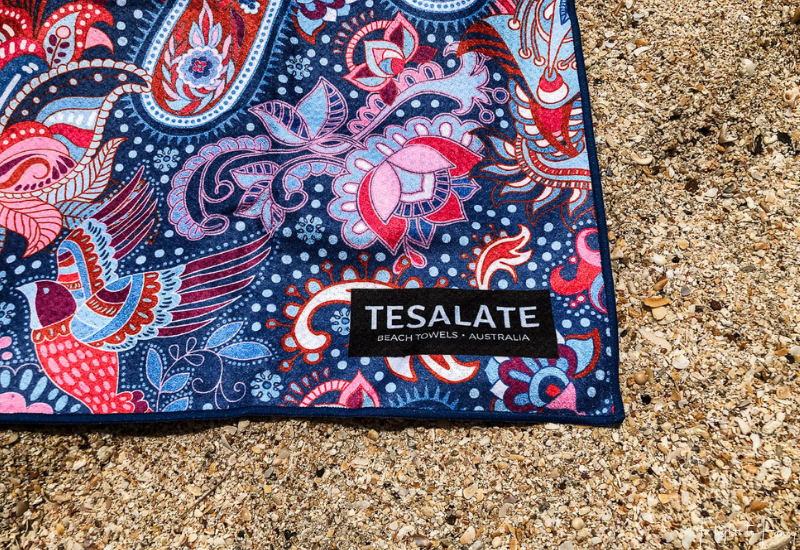 Tesalate beach towels come in tonnes of fun designs. After much deliberation, I chose the ‘Cosmic Dream’. Other Tesalate beach towel designs on my short list were ‘Ride the Rainbow’, ‘Tidal’, ‘Vintage Rose’, and ‘Sakura’. The reverse side of each Tesalate beach towel features their signature black and white geometric design. While The Hubs thought my print choice was a little girly, he approved of the reverse side. 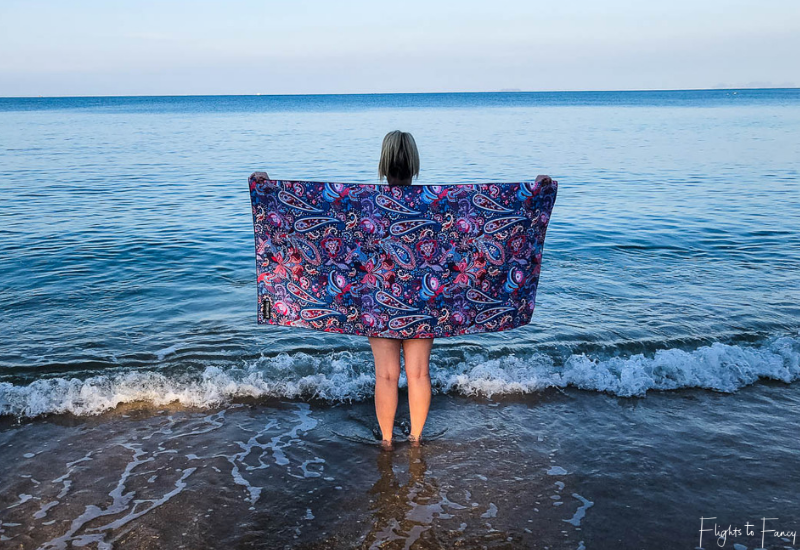 Are you done dealing with traditional beach towels? 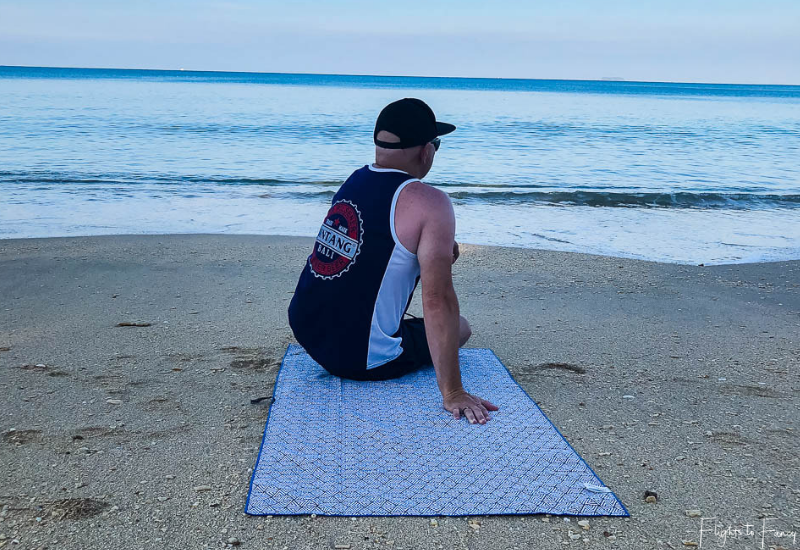 Are you ready to upgrade to a Tesalate beach towel? Sign up to Tesalate’s newsletter to get 10% off your first purchase here. Disclosure Statement: Tesalate provided me with the beach towel featured here for the purposes of this review. The information in this article is based on my own personal experiences and has not been influenced in any way by the brand(s) featured. This post may contain affiliate links which if clicked may earn me a small commission on purchases at no extra cost to you.